with Octagon Divers - Nottingham's friendliest scuba diving club! We've got qualified instructors with more years of experience than they'd be happy to admit! 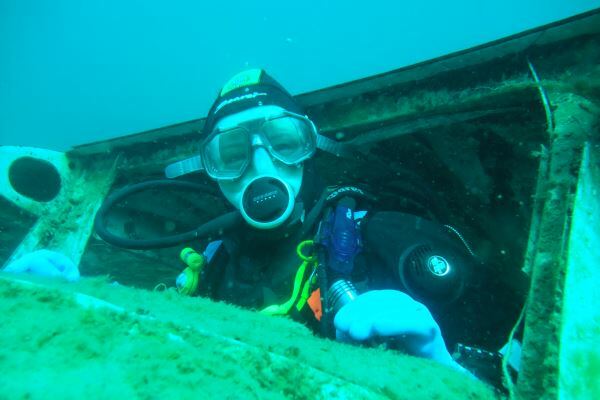 Octagon divers welcome new members regardless of level of experience or diving organisation. 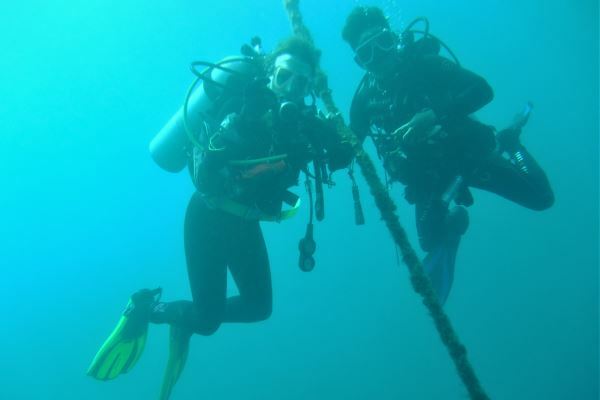 If you want to experience the thrill of scuba diving for the first time then a try dive is the ideal introduction. You will be in close supervision in the safe confines of a swimming pool. You don't even need to go out of your depth. You will experience the novelty of breathing underwater in a safe, controlled environment. 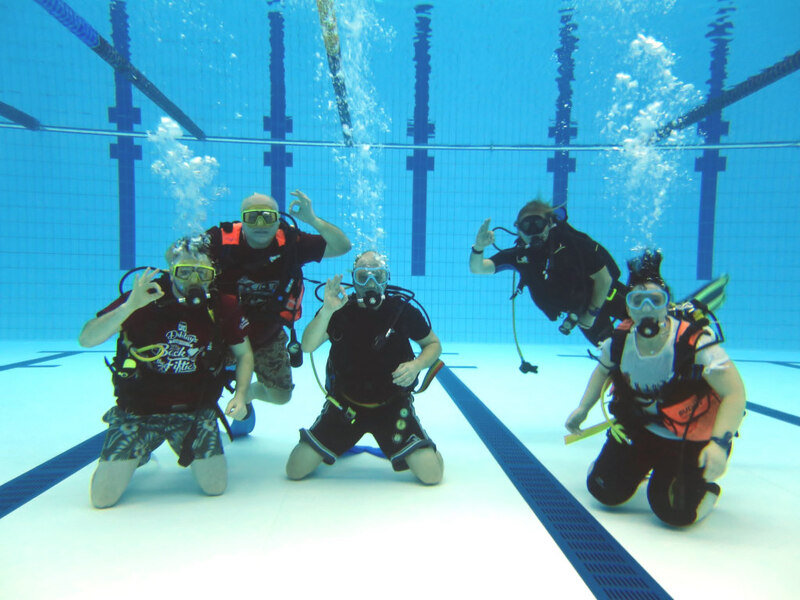 Scuba training is available to anyone who is over the age of 14 and medically fit. Parental approval is needed for anyone under the age of 18 years. We're not a commercial outfit and we don't make a profit. Intructors and dive-leaders are volunteers and although they're properly qualified, they don't get paid. We've got to provide training materials, a pool and equipment etc. so there are some costs involved. 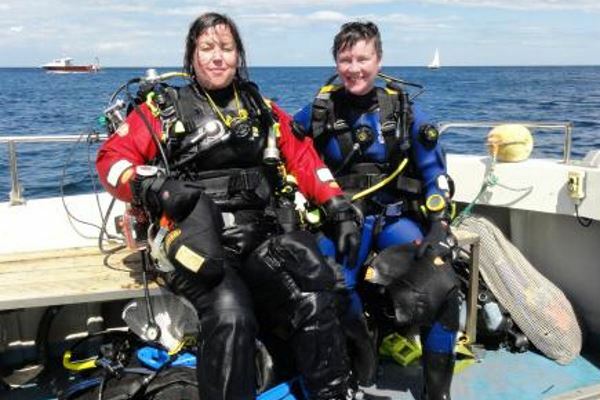 From the basic Ocean Diver through to the heady heights of First Class Diver! Cross-over options are available so you can turn your Padi (or similar) qualification into an BSAC equivalent. This is were we do our pool training sessions. 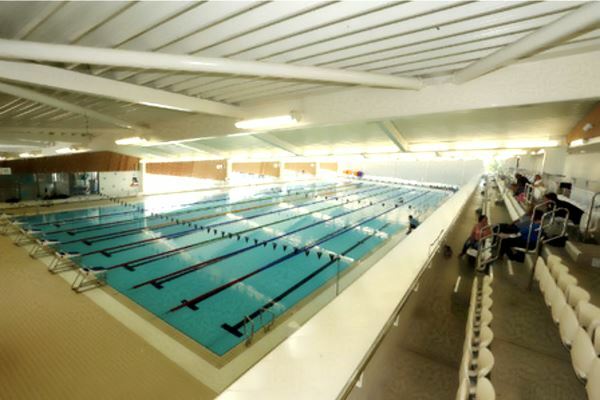 The pool is also available for use by the swimmers in our club! 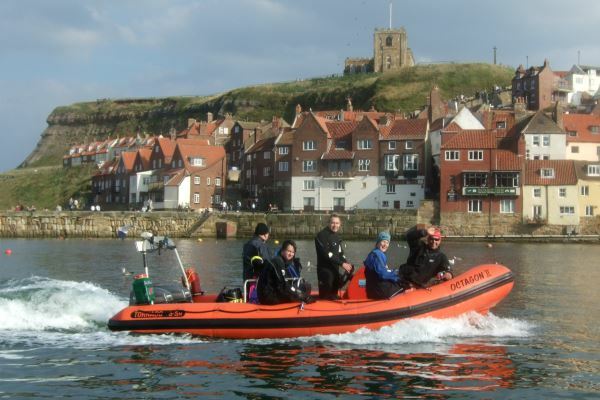 This is our 5.5 metre RIB with twin 55hp outboard engines. The club doesn't currently charge for its use by members, you just pay for your fuel. The boat is equipped with Eagle combined GPS and Sonar. 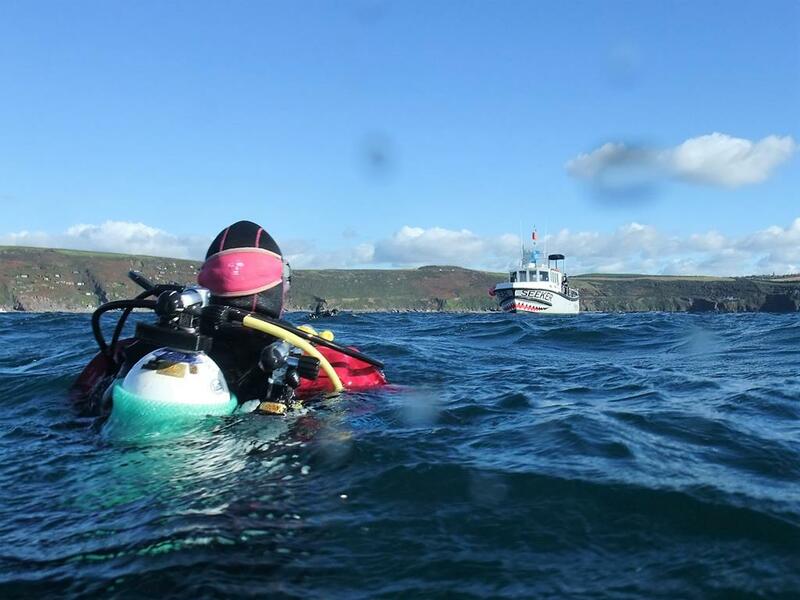 We have several members who have passed the BSAC boat handling course, if you want to go out on her. Our usual venues are Bridlington, Farne Islands, and St. Abbs, but that doesn't stop it going elsewhere. Hello! I'm just a few hours up the A1. Come and say "hi" to me and my mates! "It's cold but I love it down here!" 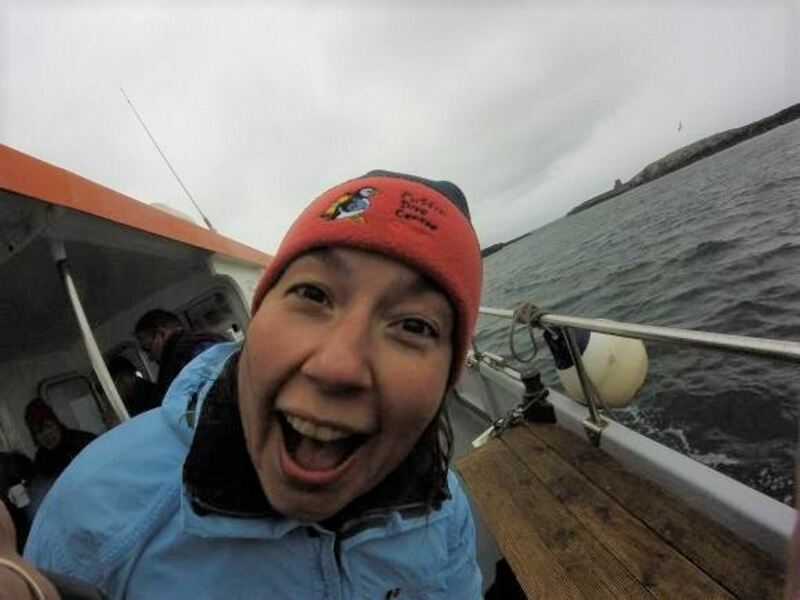 The club arranges a number of weekend trips each year to such far-flung destinations as Farne Islands, St Abbs, Weymouth, Plymouth and Scapa Flow. We also occaisionally organise foreign diving trips as well as visits to Stone Cove, just down the road. Site developed by Mark Hodgson. All images and content Copyright © Octagon Divers 2017. BSAC membership includes worldwide third-party liablility insurance and a subscription to BSAC's SCUBA magazine. The cheaper family-member membership is based on one magazine per household rather than per member. For trainee members, this costs £20.00 per month for the first 12 months which then goes down to £11.00 per month. 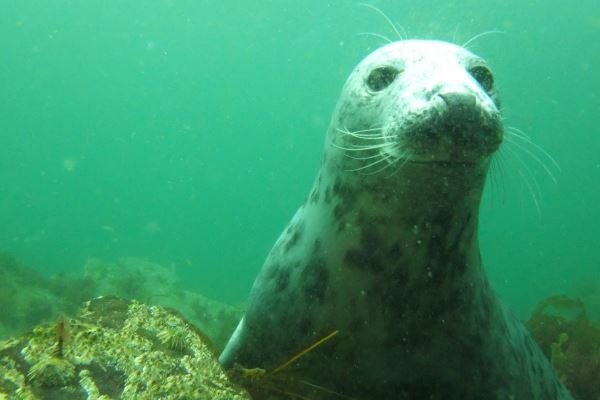 There is also a membership available for non-diving social members which costs £6.00 per month. These fees cover such things as the hire of the pool, upkeep of the boat and service and maintenance of diving equipment used by our trainees. New members will need an Ocean Diver Training Pack costing £45, unless they are already qualified.